Maricha (Marich) is known as Gol Mirch, Kali Mirch or Black Pepper. It is dried unripe seeds of plant, Piper nigrum a perennial shrub. It is pungent (Katu) in taste, hot in potency and pungent after digestion (Katu Vipak). It mainly works on digestive, circulatory and respiratory system. It is expectorant, carminative, antipyretic, anthelmintic and antiperiodic. 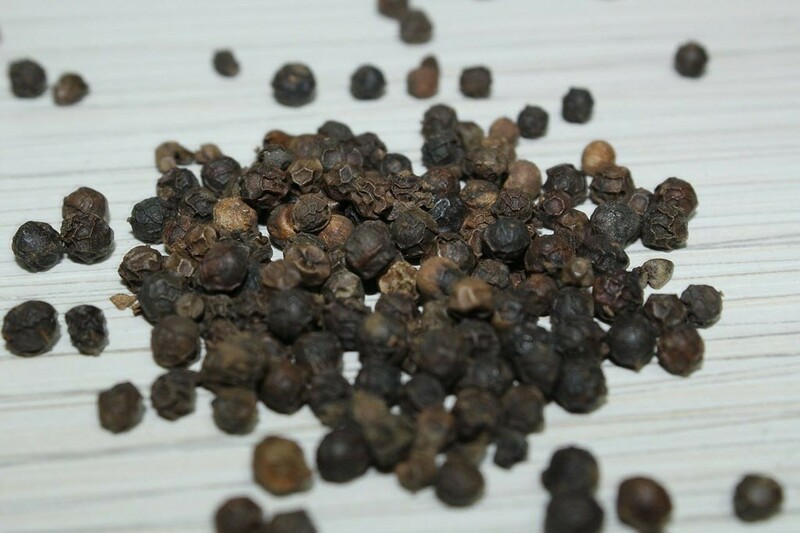 Black Pepper is useful in difficult breathing, chronic indigestion, obesity, sinus congestion, fever, intermittent fever, cold extremities, colic, cooking spice, cholera, gastric ailments, gas, diarrhea, hemorrhoids, worms, sore throat and cough. Black Pepper should be taken cautiously in High Pitta and digestive inflammations.